This weekend has been one of being totally casual and off-duty in my outfits and mindset. Since the husband and I have a really busy June (pretty much all of our weekends are booked), our 3 day weekend was spent doing stuff around the house (like reorganizing my closet-office) and doing activities around town like visiting a new place in San Diego, Liberty Public Market. 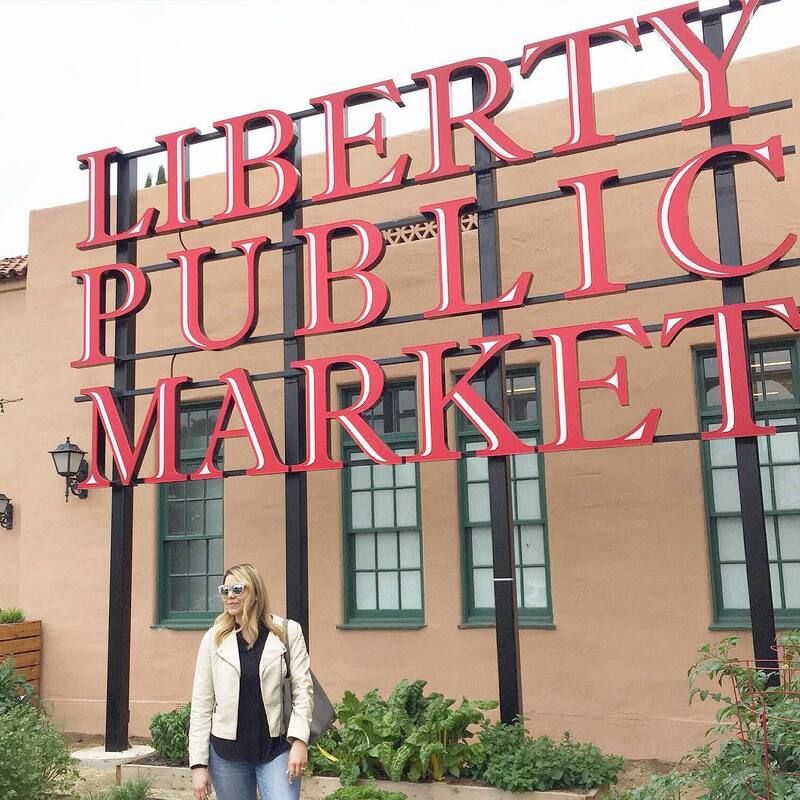 Liberty Public Market is an indoor market place where it gives you that hustle and bustle vibe meets foodie paradise. There are lots of delicious and different foods side by side and jam packed into one space (reminded me of a small version of Chelsea Market in New York City but with San Diego eateries). I totally loved the vibe especially because it's so chill! I also liked that it was indoors because we have had some odd gloom in SD which explains the moto jacket. Funny story: Wallis sent me this jacket 3 years ago and I wore it then (here and here) but had forgotten about it since, then I was considering buying a new moto jacket when I totally realized I had this one in the closet! Does that happen to anyone else? I hope that you are all enjoying your weekend and also remembering those who have given the ultimate sacrifice to protect our country! Girl, that happened to me this weekend. You find things in your closet that were there long time ago! I love to bring old pieces back to life! This casual look screams weekend gear. Love IT! Yes, and it's always a nice surprise :) ha!